An extraoardinory historic hotel setting, and home of the Whiskey Flat Saloon. The Historic Hotel Rooms in the main building feature queen or double beds, antiques, cozy comforters and some rooms with balconies on the 2nd and 3rd floor. The one-story annex building offers 6 rooms with private bathrooms and televisions. The Zinfandel Conference Center offers a perfect setting for meetings, gatherings or conferences. Offering dinners nightly, lunch on Saturday & Sunday, and breakfast on Sunday mornings. They will happily pack a picnic for your show! The Union Inn Hotel was built in 1880 by four itinerate French Canadians for $400. It was a boarding house for hard-working miners and locals until the 1920’s. It enjoyed a brief reawakening in the 1950’s, and thereafter it was, by turns, vacant and empty, a private residence, and finally it was restored into a lovely destination in 2000 by the David/Burney Family. 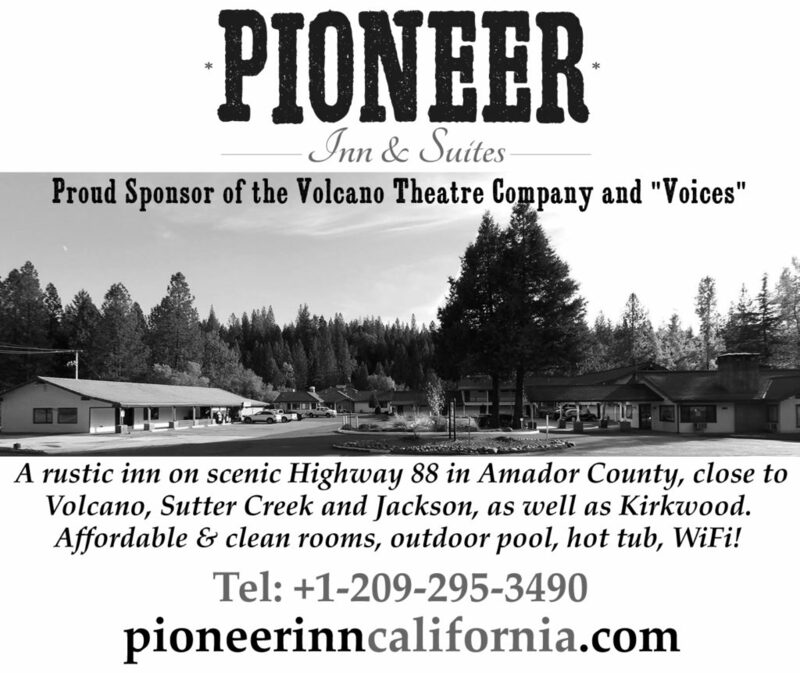 Now the Volcano Union Inn is reborn as a California Pub and Four-Room Bed and Breakfast in the picturesque village of Volcano, deep in the heart of Amador County and the California Gold Country. Pub is open Thursday through Monday (closed Tuesday and Wednesday). They will be happy to pack a picnic dinner for you! Step back in time to this fully restored Victorian-era hotel, where luxury and historical ambience merge for a one-of-a-kind experience. Centrally located in Jackson, in the heart of Amador County, The National Hotel is the perfect starting and end point for both indoor and outdoor adventures. Let the mouthwatering specialties of Stanley’s Steakhouse be your reward for a day well spent. Every detail you would expect in a best-in-class steakhouse experience! 24-Hour Casino with 1,700 Slot Machines, 36 Gaming Tables, Poker Room, Four Restaurants, Gift Shop, Free Parking, Valet, Hotel, RV Park, General Store & Gas Station, Concerts, Special Events, exciting Promotions, & more!